What Moms Want Most When It's Time to Treat Themselves! What Moms Want Most When It’s Time to Treat Themselves! Are you spending Saturday night scrubbing ketchup from dinner plates while longing to be out on the town? It’s not just you. A mom’s life is all about cleaning up other people’s messes. Moms deserve a little more time to treat themselves! And why not? Mother’s Day is only once a year, and while it’s great to get appreciation from your family–the day is over before you know it. What about celebrating yourself year round? You don’t stop being you when the other 364 days. It’s important for moms to splurge once in awhile, especially after a crazy week of errands, laundry, sports games, work commitments, and the heap of other responsibilities. Taking time to de-clutter your brain and regroup from stress is essential to happiness. Treat your body. Appreciate your body by spending a day away from chores at the spa. Relax with a massage, enjoy hot tubs, or select a spa that offers facials and skin treatments. Spas help you de-stress and improve overall mental health. Treat your brain. Learning a new skill can be a fun way to get out of the house and still be productive. Take up an exotic cooking class or learn a new language. Learning a second language can not only dramatically improve brain health, but also prepare you for your next vacation! Treat your beauty. Getting a professional blowout or a full pedicure can help remind you of how beautiful you are. A salon day is the perfect opportunity to have all the attention on you, without all the demands. Treating yourself can be more than just for a few hours of the day. Can’t get out of the house? Plop the kids in front of a movie and shop online for something to make you smile. You deserve a gift that will last a lifetime. What do moms really want most? A new piece of jewelry is the best gift to remind yourself every day of all that you do. If you’re looking for a new piece of jewelry, consider something meaningful as well as beautiful. Gemstone rings can represent your uniqueness. You can choose a modern style with your birthstone, or a vintage style in your favorite color. Earrings are perfect for adding variety to your jewelry collection. The textured love knot stud earrings in yellow gold have a unique design, but are still easy to wear. 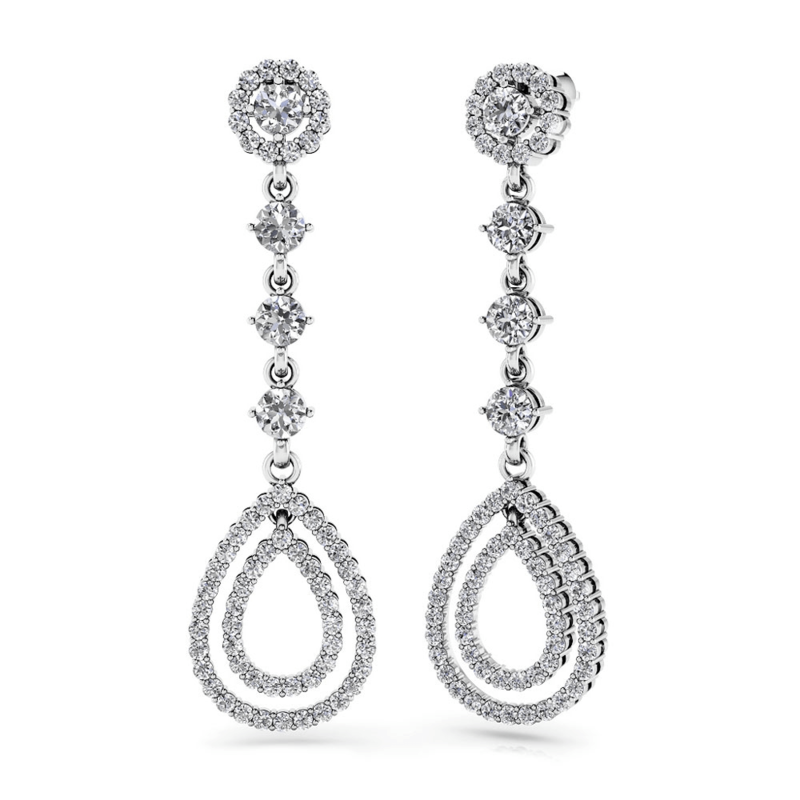 Sparkly diamond earrings can light up your entire face and be treasured for years to come! Challenge your creativity and design your own custom ring. You can discover all the elements of the diamond you want from the 4Cs (cut, color, clarity, carat) to the perfect setting. What about a ring with a diamond to represent each child you love so much? Rings aren’t only for weddings and engagements, and custom rings aren’t only for those with lots of money to spend. If you have an idea for something that would make you happy, look into what it would take to get it made. You’ve got nothing to lose just by doing your research. Years from now, when the kids have moved out, you’ll gaze fondly at your keepsake and remember the day, and the reason, you purchased it. Psychologists agree: treating yourself can help you to feel cared for, valuable, and energized. Always remember to do something for yourself. You deserve it.